Legends told of how the evil God Torak had coveted the power of the Orb of Aldur, until defeated in a final battle. But prophecy spoke of a time when he would awake and again seek dominance over all the world. Now the Orb had been stolen by a priest of Torak, and that time was at hand. 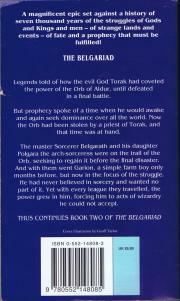 The master Sorcerer Belgarath and his daughter Polgara the arch-sorceress were on the trail of the Orb, seeking to regain it before the final disaster. And with them went Garion, a simple farm boy only months before, but now in the focus of the struggle. He had never believed in sorcery and wanted no part of it. Yet with every league they travelled, the power grew in him, forcing him to acts of wizardry he could not accept. 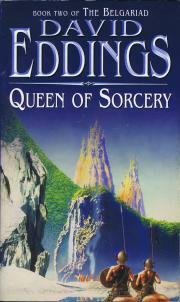 Thus continues Book Two of the Belgariad.